Designed to fit a range of laptops with screens up to 15" in size; including models with an extended battery. 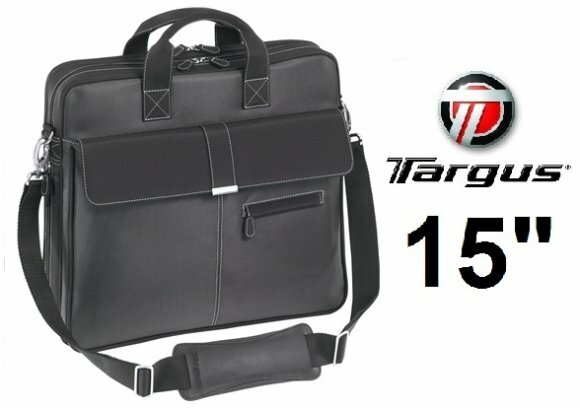 The Targus 15” Solitaire Laptop Case offers quick and easy access to the laptop compartment and includes a security strap to protect the laptop during travel. The soft pink faux suede inner-lining offers an eye-catching look and helps protect from scratches. The zippered side pocket provides pen/pencil loops, a key clip, ID/business card holder and two compartments to store a PDA, cell phone or MP3 player. 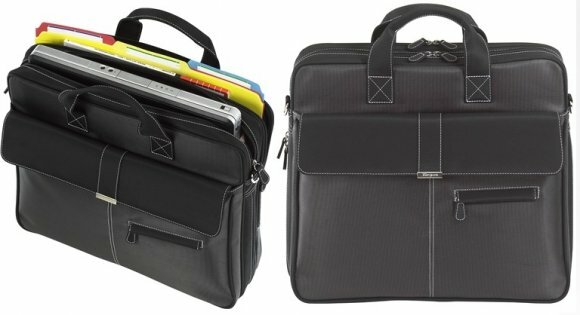 The large front pocket with magnetic closure allows for storage of documents or other accessories. This case also comes with a matching wallet/ID holder. The Solitaire Topload is perfect for the female executive who desires an attractive, functional case. Exterior Dimensions15.75" x 4" x 13.75"
Interior Dimensions13.19" x 1.69" x 11.8"